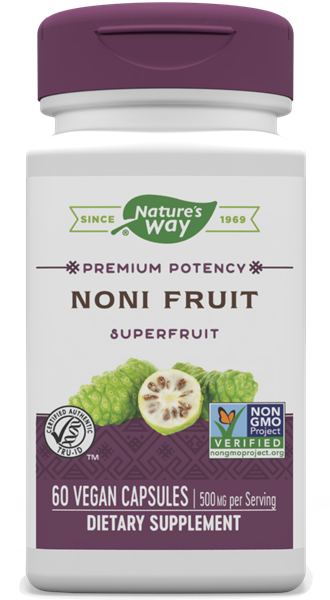 Noni Fruit / 60 Vcaps - Nature's Way®. Has been used as a health remedy for over 2,000 years. Noni Fruit is standardized to 3-4% polysaccharides from pure whole-fruit. Noni has been used as a traditional health remedy for over 2,000 years throughout the South Pacific Islands.